STUDENTS have few to no options when they feel the pinch of financial pressure. They must devote their time to studies, not scraping together money. This is why Nedbank has revealed Unlocked.ME. Unlocked is aimed at helping Mzansi students manage their money and maximise their lifestyle. Unlocked gives students a bank account with zero monthly maintenance fees – a first for students in the country. If the student doesn’t withdraw cash and only uses their card to buy items, they bank for free. The account can be opened in minutes by using the Nedbank MoneyApp, with no paperwork or signature needed. Mutsa Chironga, managing executive for Consumer Banking at Nedbank, said: “We developed Unlocked.ME as a way of partnering with youth to help them realise their potential to live full, exciting and rewarding lives. “The account gives young people access to a range of lifestyle deals – such as up to 50% off laptops and other deals on the latest fashion and technology. Chironga said, on top of this, they want to unlock every student’s full potential. “We provide access to personalised, digital career advice based on the student’s matric results. They can search for up to 500 jobs online from an employment portal specially designed for them. “In short, we want to help students get rid of as many money worries as we are able and help them achieve as much of their full potential as possible. 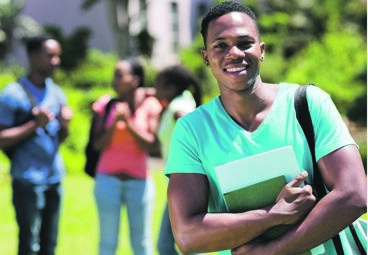 “Nedbank believes that last thing Mzansi’s students need is to be distracted from their studies by concerns about their day-to-day finances or their career prospects.